Blocked gutters & downpipes are a common cause of leaks, and most easily preventable. 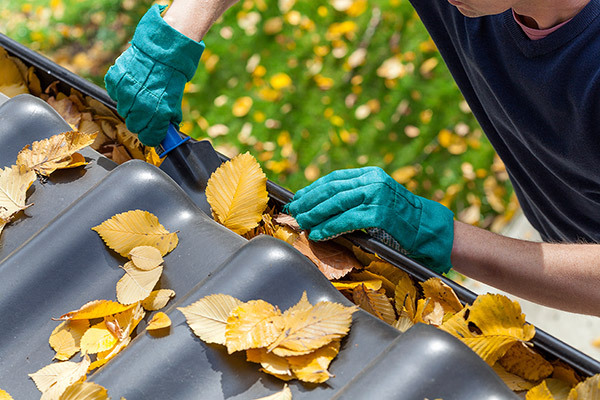 Get in early this Autumn and empty your gutters and downpipes before the weather turns wet. Ensure that you use a safe ladder and equipment to avoid any nasty falls. If you find any structural issues with your gutters or down pipes, give us a call and we’ll fix it fast. Remove dust from the off season and ensure all burners and ignitors are functioning correctly for those cold nights. The most common cause of faulty or inefficient space heaters is the build-up of dust inside your gas space heater. Giving the heater a good vacuum clean every 6-12 months will drastically improve the efficiency and maintenance requirements from the unit. You’ll be surprised how much difference it will make if this hasn’t happened in a while. Hot Water heaters are more likely to fail in winter. Proper scheduled maintenance servicing ensures your hot water system is always operating correctly and functioning at its optimal efficiency. Its recommended that hot water heaters are serviced every 2-3 years to ensure they are running optimally to manufacturer specifications. If you haven’t serviced your heater in the past 3 years or have just moved to a new premise, call the hot water experts on 08 8152 6740. Window & Door draft stoppers keep heat in and help reduce your energy bills. One of the simplest ways to keep warm this winter is to ensure your window seals are in good condition and do not let any unnecessary cold air in. Draft stoppers are a great tool to use in those high traffic areas, keeping your family warm this winter. Light up your entrance ways and make coming home in the dark a thing of the past. Correctly positioned lighting can instantly warm up your home this Winter. The types of lights around your home has a dramatic impact on the mood and feeling around your home. By utilising ‘warm’ light types rather than ‘cool’ lights imitates the summer month’s ambiance. Go to your local lighting store in mid-Autumn and change those lights before it gets dark. Requiring any Plumbing or Electrical services? Give us a call on 08 8152 6740 or book your job online today! Precise is Adelaide’s leading Plumbing and Electrical maintenance company. We have a reputation of delivering Adelaide’s best trade experience, which is why over 90% of our customers recommend us to their family and friends.